START2ACT aims to reduce residential energy consumption by changing the behaviour of office workers at their job and at home. Our main target groups are young SMEs and startups, as they represent the majority of businesses and therefore the backbone of the European economy, consequently bearing an enormous energy-saving potential. 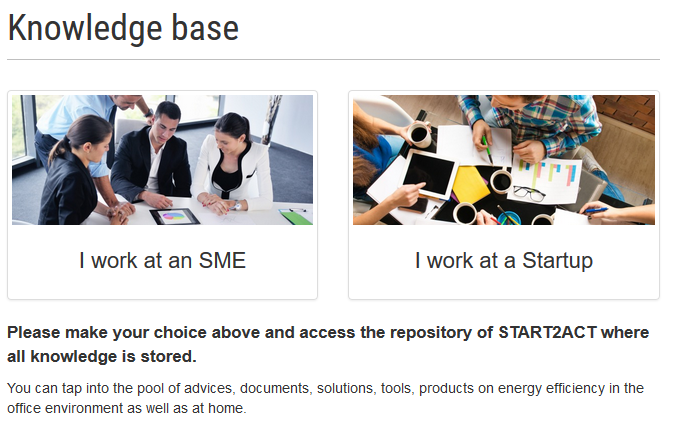 To jumpstart the energy efficiency revolution of young businesses across Europe, START2ACT has developed a diverse set of informative, interactive and compact tools and activities which are freely accessible for employees and managers of SMEs and startups. In this first installment of our two-parts article we would like to draw your attention towards our available online tools. Have a look at our offer and decide which one is the best for you! You can find all of our online tools via the Interactive Energy Saving Platform which can be found on the top of the website. The Knowledge Base. This intuitive, compact and comprehensive online repository provides the most essential information on energy efficiency related topics, tailored to the needs of employees and managers of both SMEs and startups. The Energy Saving Competition. Care for a challenge? Engage your co-workers and enter our seasonal Energy Saving Competitions created to boost enthusiasm for a greener office culture and allow you to promote your business, win great prizes and of course, to reduce energy consumption! E-Learning. Become an energy efficiency expert! 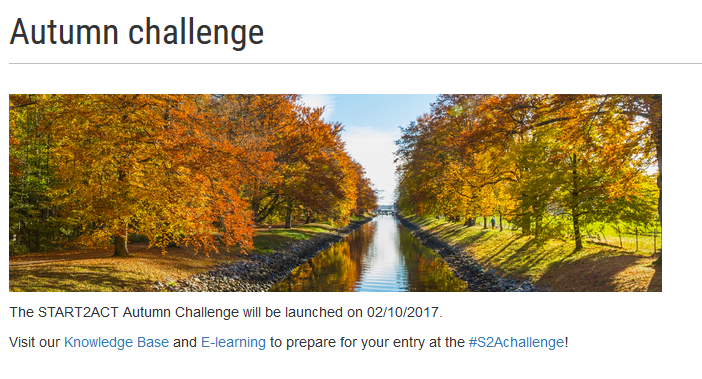 With our unique E-learning you now have the chance to complete our online courses carefully developed by the START2ACT experts to show you internationally recognised best practices on energy efficiency at the workplace, at home, and smart energy management with the help of fun, concise and highly interactive lessons. Stay tuned for the second part where we will introduce our on-site activities!